As Amazon processes hundreds of applications from cities vying to land the tech giant's next headquarters, a group of California business owners urged it to avoid the Golden State. The California Business & Industrial Alliance (CABIA), a San Fernando Valley-based trade association, took out a full-page ad in Wednesday's issue of USA Today warning CEO Jeff Bezos to deny any applications from California due to its "onerous" regulations. "Dear Amazon, Our Weather is Nice. Our Business Climate is Not," the ad says. The Alliance highlights the Private Attorneys General Act, which allows workers to sue for civil payments from companies for state labor code violations. The law gives any employee the right to initiate claims on behalf of his or her fellow co-workers and the state's regulatory agency; the employee then receives 25 percent of any fines resulting from the suit with the Labor and Workforce Development Agency taking 75 percent. 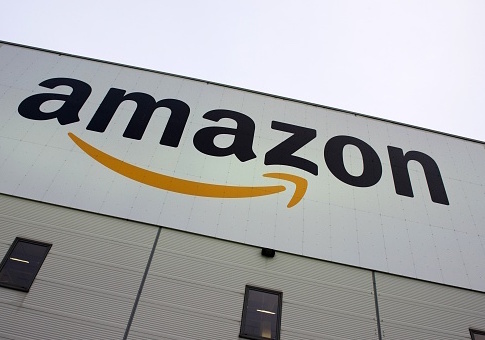 The group asks Amazon to help it reform the statute, which has commonly been known as the "Sue Your Boss" Law since its inception in 2004. "There are many things to love about the Golden State, but onerous laws like the Private Attorneys General Act make it difficult for employers and employees to thrive," the ad says. "If you're planning to locate your new headquarters here, give us a call—we're leading the charge to reform this law, and will take all the help we can get." Tom Manzo is the founder of the group and president of Timely Industries, a mid-sized manufacturing company employing about 200 workers. He operates out of Pacoima, a San Fernando Valley neighborhood about 25 miles from downtown Los Angeles. He and his fellow entrepreneurs and small business owners grew tired of the status quo of operating in the state, dissatisfied with the "that's just the cost of doing business in California" mindset, as he puts it. While Los Angeles and other Southern California cities attempt to woo the Seattle-based online retailer, city and state lawmakers take local business owners for granted, he said. "Frivolous lawsuits and an arcane labor code are business owners' ‘reward' for providing jobs in the state," Manzo said. "We're ready to reform onerous laws like PAGA, but part of that reform requires educating the public on the harm that this law has caused, and alerting companies like Amazon at what they're getting into if they locate HQ2 here in Los Angeles." Amazon sparked a frenzy from city planners and lawmakers across the country when it announced in September it would open up bidding to any city for a new headquarters equal to its Seattle offices. The project would cost the company an estimated $5 billion and is expected to employ as many as 50,000 workers. "Amazon HQ2 will bring billions of dollars in up-front and ongoing investments, and tens of thousands of high-paying jobs. We're excited to find a second home," Bezos said in the announcement. The application deadline is Thursday. This entry was posted in Issues and tagged Amazon, California, Regulation. Bookmark the permalink.